Information: Atanas Kolarovski, choreographer, teacher, and author of books about Macedonian dance. Atanas is a nephew to Mile Kolarov. 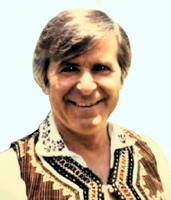 Atanas was born in Draševo (near Skopje), Macedonia, of a family of expert dancers and musicians. From his early youth, Atanas had the opportunity to observe and participate in the dances of Serbians, Albanians, and Romani who live in the Skopje area. He performed with the amateur group, Koko Racin. After World War II, he danced for two years with the Yugoslavian Army Ensemble. With the ensemble he was able to travel all over Yugoslavia, studying and learning regional dances and dance styles of Bosnia and Herzegovina, Croatia, Macedonia, Montenegro, Serbia, Slovenia, and the two atonomies, Banat and Kosmet (now Kosovo), whose cultures are completely different from the other six republics. He was asked to help form Tanec, the Macedonian State Folk Ensemble, where he remained for 19 years as artistic director, choreographer, and lead solo dancer, traveling the world for 16 of those years. Atanas became a famed researcher, choreographer, consultant, and program director for many performing ensembles, such as Koko Racin, The Army Ensemble, Tanec, Ensemble Karpuc Pionerski, Blagoj Sosolcef, and Vlado Tasievski. He has researched and collected dances and folk music from the different areas of southern Yugoslavia, including Macedonia, south Serbia, and Shiptar-Albania. In 1964, Atanas made his first teaching tour of the United States, Belgium, Germany, Holland, and Switzerland, awakening interest in Macedonian dance and music around the country and becoming known as "the man with the golden legs." After the second tour, he was reviewed as "the untiring teacher, researcher, chroeographer, consultant . . . a leading ambassador of Macedonia." Since then, besides having taught at all major folk dance camps throughout North America, he has also taught extensively in Europe and east Asia. A great musician, Atanas plays the accordion, the tûpan, the kaval, the zurla, and drums. Since the 1970s, he, along with his wife, Ljupka (who was also a lead dancer with Tanec), and daughter has made his home in Seattle, Washington, where, for a while, he operated a successful ethnic restaurant, "Yugoslavia," featuring old-country style cuisine. He still tries to return to his home in Macedonia yearly and still organizes and conducts tours to his native country. Macedonian Folk Songs. by Atanas Kolarovski and Dennis Boxell. 25th Anniversary Labor Day Camp, Painted Post. Balkan Dancers of Buffalo. Atanas Kolarovski and Andor Czompo, teachers. AK001  Atanas Kolarovski Records. AK002  Worldtone Records WT LP 64-701. Songs and Dances of Yugoslavia. AK003  Atanas Kolarovski Records. Yugoslav Folk Dances. Dances of Macedonia and Serbia. AK004  Atanas Kolarovski Records. Songs and Dances of Yugoslavia. AK005  Atanas Kolarovski Records. Songs and Dances from Yugoslavia. AK006  Atanas Kolarovski Records. Songs and Dances of Yugoslavia. AK007  Atanas Kolarovski Records. Folk Songs and Dances of Macedonia and Srbia. AK008  Atanas Kolarovski Records. Songs & Dances of Yugoslavia. AK209  Atanas Kolarovski Records. Yugomelodii Songs and Dances of Yugoslavia. AK010  Atanas Kolarovski Records. Macedonian Songs and Dances of Yugoslavia Vol 1. AK011  Atanas Kolarovski Records. Macedonian Songs and Dances of Yugoslavia Vol 2. AK012  Atanas Kolarovski Records. Traditional Songs and Dances of Macedonia. AK013  Atanas Kolarovski Records. Makedonski Narodni Pesni i Ora. AK014  Atanas Kolarovski Records. Makesonski Narodni Pesni i Ora. AK111  Atanas Kolarovski Records. Songs and Dances of Yugoslavia, A1: Belasičko, B1: Tri Godini Kate. AK209  Atanas Kolarovski Records. Songs and Dances of Yugoslavia. VRLP 402  Voyager Recordings. Dances of Yugoslavia. AK-Tape 4  Atanas Kolarovski. Makedonski Narodni Pesmi i Ora. AK-Tape 5  Atanas Kolarovski. Makedonski Narodni Pesmi i Ora. AK-Tape OP1  Atanas Kolarovski. Makedonski Narodni Pesmi i Ora. AK-Tape OP2  Atanas Kolarovski. Makedonski Narodni Pesmi i Ora. AK-Tape Ora  Atanas Kolarovski. Makedonski Narodni Pesmi i Ora. Born in Dračevo, near Skopje, Macedonia. After WWII, danced 2 years with Yugoslavian Army Ensemble, then helped found Tanec, the Macedonian State Folk Ensemble. He was with Tanec for 19 years as artistic director, choreographer, and lead solo dancer. 1964  First teaching tour of the United States. 1970  Atanas and wife Ljupka (who also was a lead dancer with Tanec) moved to Seattle, Washington. Atanas taught a number of the dances we now associate with him. A few years later he came through again, and we were startled that some of the details were different. Someone got up the nerve to ask, and the response went along the lines of, "Oh, people get tired of doing the same thing, so you have to change something." It set my own personal evaluation of Mr. K's credibility back a whole long way. To me, there was (and still is) a great difference between having someone present a dance as "old, traditional" and having the dance announced as "based on traditional steps/styling/etc." I can HANDLE either one, I just wanna know! But now, some 30 years later . . . I wonder to what extent this was a LANGUAGE problem? As in: did he really PRESENT it as "old traditional," or did we blindly assume that, because it was being taught by an "ethnic," a "real Macedonian," that that was the only thing it COULD be? Did HE pull that wool over our eyes, or did WE do it to ourselves?! I was at that New Haven (January 1965) workshop with Atanas too but at that time he was accompanied by Dennis Boxell and stuck to teaching basic styling and stance, and taught a pravoto, Sadilo Mome, Berovka, Tropnalo Oro, and one or two others, all nice basic and about as authentic as you can get (given the inevitable sea changes) Macedonian dances. However, when he was invited to the Boston area by the Taylors in 1966 he was on his own and teaching dances of dubious origin and authenticity, including Belasičko, which I distinctly remember Bob Leibman, who did not "buy" Atanas' explanation of provenance (questioning him about it), and Tino Mori, which seems like a straightforward lesnoto . . . Atanas got non-plussed when he did it to the music after teaching us and discovered that the instrumental interlude was shorter than his dance phrase . . . he quit and after a break (for lunch I think) came back with a modified dance phrase for the instrumental interlude. He was not, as far as I recall, invited back to the Boston area, and I believe that was because of the uncertainty as to the authenticity of the dances he was teaching. Since he was and is a fantastic dancer, and capable of teaching village material (Tom Roby reports that Neal Sandler once got him to do an entire workshop of such material), it is too bad that he felt compelled to choreograph so much . . . but on the other hand, he's pretty gifted as a choreographer. In fact, one of my main quarrels with him is his tendency to create four measure dances from ones that were originally three measure, and longer-phrased dances just to fit the musical phrase, when one of the fascinations for me is the dynamic tension between the musical and the dance phrases. (To my objection he once said, quite seriously, "but that's the current trend".) I enjoy many of his dances. I am still mad at Atanas because the last time he taught in Chicago he taught some more of "his" dances . . . then that night a Macedonian band was playing . . . he is up there leading the dances . . . the REAL Macedonian dances, which were not what he had taught all day and many didn't know (including me). It would have been much better if he had taught the actual dances the band was going to play that night!